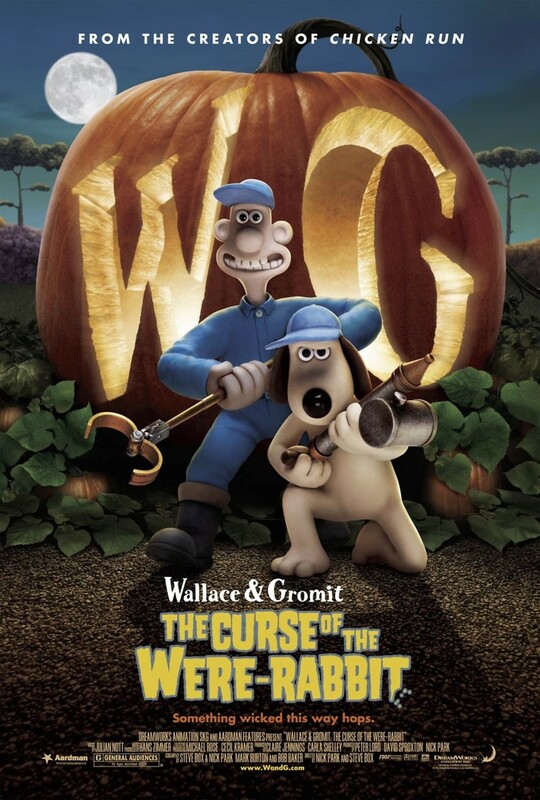 Wallace and Gromit are the Anti-Pesto gang, a pair of pest control workers, catching rabbits that are eating away the townfolks' vegetables. Their services increase as the Annual Vegetable Growing Contest is on the horizon. During a job, Wallace meets the lovely Lady Tottington and becomes smitten with her, a lass who is also pursued by the arrogant hunter, Victor Quartermaine. During an experiment in the basement, an accidental mishap births the terrible creature The Were-Rabbit, a crazed and hungry giant who stomps around the town by night and destroys all the prized vegetables. The man and dog team try desperately to catch this foul creature, but their attempts are in vain, and Victor decides to shoot the Were-Rabbit with a silver bullet the next time he sees it, which is the one thing that will for sure kill it. But it is soon discovered that the Were-Rabbit is none other than Wallace himself! The action builds up to the climax during the evening of the contest, and ends with the death of the Were-Rabbit with Wallace safe and sound.